Floola is a standalone application to manage your iPod (iTunes 7.3 and below) or your Motorola mobile phone (any model supporting iTunes). It is a cross-platform program that can run directly from your iPod. Floola supports all most common used iPod features including podcasts, smart playlists, notifications, search lost/duplicate files, videos, HTML list export, etc. The program may be able to fix an iPod if other software caused problems. How to extract: Download the ZIP package and extract to a folder of your choice. Launch Floola.exe. Translation issue with terms containing line feeds icons can be removed from minelayer. Album artwork added to miniplayer. Last.fm option to submit any kind of media not just music. Improved smart playlist editor window. Floola deleted all of my music off my iPod, and now it won't even open. I'm using a Korean computer that won't download iTunes properly, so could that be a problem? Is there any way to get my music back? The homepage mentions a version for use with an iPod and one just for use on a PC. 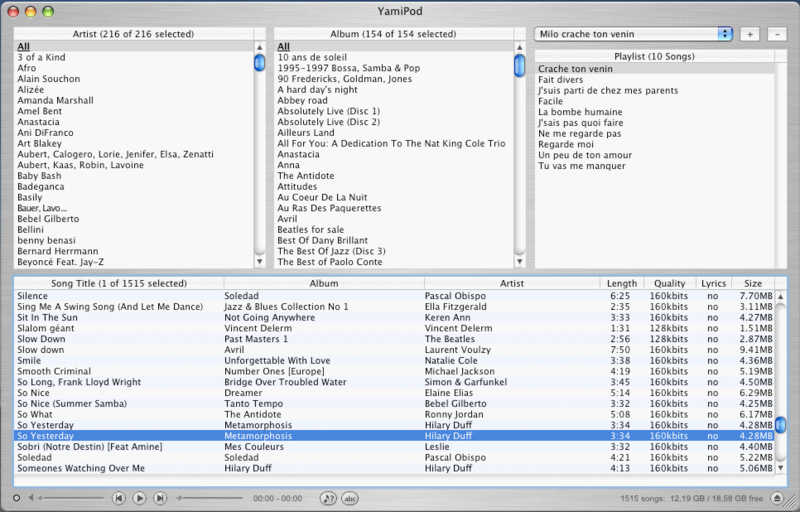 YamiPod is an application for managing older Apple iPods. You can use it to copy MP3/AAC files to/from your iPod, import/export playlists, remove duplicate tracks, find lost music files etc. Floola is a newer version of this program, but still only works on older iPod devices. How to extract: Download the ZIP package and extract to a folder of your choice. Launch YamiPod.exe. it worked fine for the gen1 nano. I have to set up an iPod Nano for somebody and load song files onto it, but I don't want to install iTunes on my computer at all. When I start YamiPod it says, "Please plug in your iPod to continue". I tried both the USB2 and USB3 ports on my computer to no avail. I read pertaining questions in their forum but noone every received any answers. Apparently, Floola is written by the authour of YamiPod and Floola is still in development. Conclusion: this doesn't work for me. 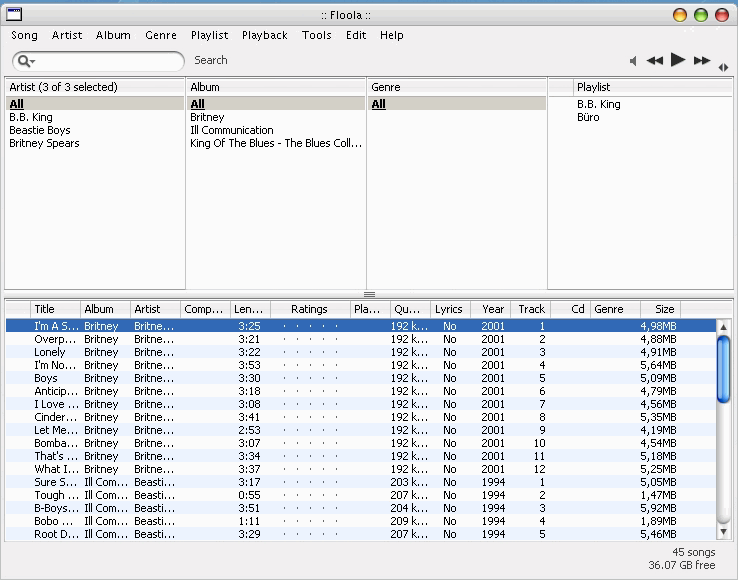 @BGM: it didn't used to require iTunes but newer devices were encoded to use only iTunes software. This program is listed on our site mainly for use with early iPod generations (many of which still work fine).